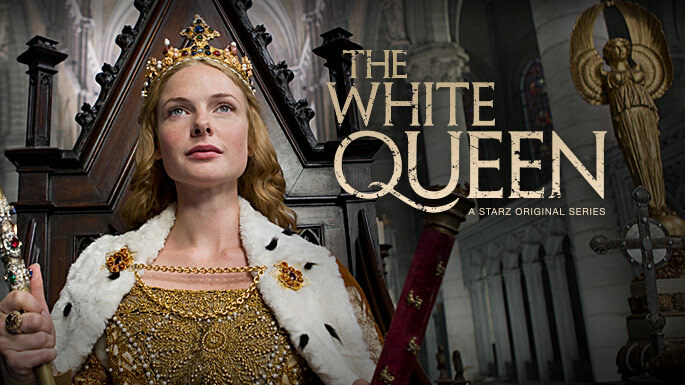 The White Queen is proving to be immensely popular, despite the initial criticism. I have been quite busy recently, working on my real life job which has kept me away from blogging and such the like. Yet when I checked my emails this morning I found eighteen individual messages asking me to write something on the history around The White Queen. And so…ta dah! This will probably be the first in a (short) series of articles on the history around the main characters in the recent television series The White Queen. This first article is about the history of White Queen herself; Elizabeth Woodville. Elizabeth Woodville was born in 1437 to Richard Woodville, a knight from a respectable family and Jacquetta of Luxembourg, the daughter of the Count of Saint-Pol, and the widow of the Duke of Bedford, considerably above Woodville in social status. Elizabeth was considered one of, if not, the most beautiful woman in Britain. She married, in 1452, to Sir John Grey and bore two sons. Her husband was killed nine years later at the Second Battle of St. Albans. Grey had fought on the side of the Lancastrian army which lost the battle to the Yorkists and their claimant to the throne; Edward IV. Despite their Lancastrian connections, Jacquetta and Richard Woodville were on good terms with the new York king. In early 1464, Edward paid Richard a visit at his home at Grafton, during which time he probably met Elizabeth. The two became attached to each other, though it was Elizabeth’s refusal to become Edward’s mistress that prompted him to propose marriage. The marriage was performed in secret, with a public announcement not made until around four months later. Elizabeth was crowned Queen the following year. (You can read more about the history of the marriage here). As far as enemies go, alienating the most powerful Earl in the kingdom, who also happened to be the man who put your husband on the throne, is pretty good going. While there was an initial political backlash (Edward was the first king to marry a commoner and had been in marriage talks with France), the marriage was accepted at home and abroad. 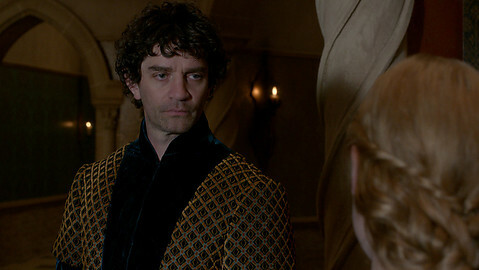 Richard Neville, the Earl of Warwick (played by James Frain in the series) was at the time, spear-heading the talks with France and was particularly keen on the French marriage, which he was to arrange. It is said that Warwick felt slighted by Edward’s secret marriage, and his relationship with Edward never recovered. At the time however, Warwick is thought to have been more upset with Edward and bore little resentment to Elizabeth herself, this would come later. As Queen of England, Elizabeth had little to do with politics or influencing her husband in any political sense. During a nineteen year marriage, Elizabeth gave birth to ten children, leaving her little time to create a political faction around herself. Upon her accession, however, she was responsible for influencing some of the marriages that her new husband made for her considerable family. After this initial round of marriages the king did not show his wife’s family any undue or especial favour, and Elizabeth herself lived on an allowance that was considerably less than her predecessor. 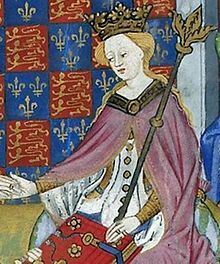 Margaret of Anjou, Henry VI’s queen had received £2,500 more a year than Elizabeth, yet Elizabeth maintained a lavish, charitable household. Despite this, she and most of her family were deeply unpopular at court, apparently due to their personalities. Elizabeth was considered haughty and icy, whereas her family did not bear their sudden elevation to the nobility with good graces or humility. The Lancastrian faction disliked them for becoming Yorkists, while the Yorkists held them in equal disdain for their Lancastrian origins. Much has been made in the series of the Woodville family’s sudden rise to power causing them to take the majority of eligible noblemen in the kingdom, after all Elizabeth had twelve siblings, most of whom were unmarried upon her accession. However, while the Woodville family did engage in a large number of weddings, there were still plenty of nobles available for the other ladies in the kingdom and it was the king who arranged these marriages, rather than his wife. By marrying off her family to other nobles, Edward gave his wife a noble family around her, increasing her status and thus her suitability to be his wife. It was to be the few marriages that Elizabeth involved herself in, and her choice of matches, rather than the sheer amount of arrangements that would earn Elizabeth and the Woodvilles the enmity of much of the court. While most of the marriages passed without comment, a few garnered negative attention and it was these that had Elizabeth’s direct involvement. In the first instance she married her sister, Catherine Woodville to the eleven year old Henry Stafford, Duke of Buckingham, who seemed to consider himself socially superior to his new wife, and her family. Later in life, after Edward’s death, Henry took the side of Richard III, which had considerable negative repercussions for his in-laws. Jacquetta and Elizabeth were also responsible for the wedding of John Woodville, the queen’s nineteen year old brother, and Katherine Neville, the Dowager Duchess of Norfolk who was sixty five. Katherine was the richest widow in the country, having survived three husbands, one of whom had been the Duke of Norfolk. The social divide and the age difference shocked contemporaries, not least the Earl of Warwick who was Katherine’s nephew. To further alienate Warwick, Elizabeth personally paid 4000 marks for the king’s niece, Anne, to marry her eldest son by John Grey; Thomas. Not only was Anne an heiress, standing to gain a considerable amount on her mother (the king’s sister’s) death, but she was at the time betrothed to Warwick’s nephew. The breaking of the betrothal earned further displeasure from Warwick, added to this that it was probably through Elizabeth’s influence that Warwick’s own daughters were refused consent to marry the king’s brothers, and the Woodville family, though by no means a united political faction, challenged Warwick’s political position and it is easy to see Elizabeth’s relationship with her husband’s premier subject utterly deteriorated. Warwick, unsurprisingly, turned rebel, choosing to put Edward’s brother George on the throne in his place, after marrying him to his eldest daughter Isabelle anyway, without permission. During her husband’s occasional falls from power and after his death Elizabeth claimed sanctuary in Westminster Abbey. It was during one of these such times that Elizabeth gave birth to her first son by the king; Edward, who was created Prince of Wales the following year, when his father regained the throne. After Edward’s death, his brother Richard claimed the throne for himself declaring Elizabeth’s marriage, and as such her sons by Edward, illegitimate. Shortly afterwards her sons disappeared, presumably murdered. In the document that declared the marriage illegitimate, Richard also accused Elizabeth and her mother of resorting to witchcraft to bring about the marriage in the first place. Jacquetta had already been accused and tried for witchcraft in 1470, the year Edward V was born, but was cleared of all charges by the king upon his return to power. Richard could include no specific examples of witchcraft against the two of them, but the allegation stuck, enough for the marriage to be considered invalid at least. ‘Witch’ was the easiest accusation to throw at a woman of Elizabeth’s station. After all, the commons could easily be swayed to imagine that a woman who had no business being queen, cast a spell to attain the hand of the king. Years later Anne Boleyn was accused of the same thing. Witchcraft in the middle ages is an article all in itself, needless to say, what was considered witchcraft at the time, is fairly commonplace these days; tarot cards, dowsing, horoscopes etc were all enough to cast suspicion on a woman, especially a powerful woman. 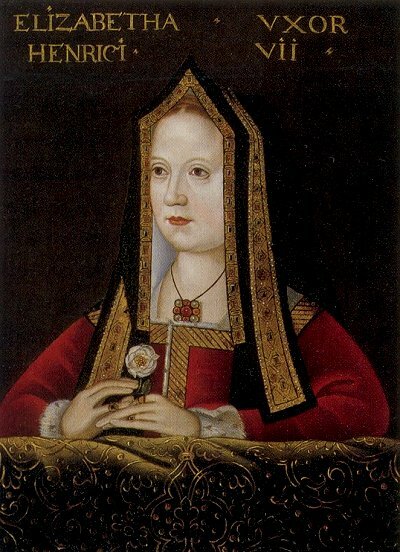 Elizabeth of York, the eldest daughter of Elizabeth Woodville and Edward IV became Queen and later, the mother of Henry VIII. As a result of Richard’s proclamation, Elizabeth was stripped of her lands and titles. Later she would conspire with Margaret Beaufort to marry their children; Elizabeth of York and Henry Tudor respectively, assuming Henry successfully deposed Richard. Henry did indeed defeat and kill Richard at the Battle of Bosworth, and the marriage went ahead, uniting the Lancastrian and Yorkist factions. Elizabeth’s marriage was declared valid once more and she was honoured as a queen dowager. Later she retired to Bermondsey Abbey where she died in June 1492, specifying in her will that she required a simple funeral. Her wishes were accorded and she was buried with her husband, Edward, at St George’s Chapel in Windsor Castle.